Ahoy there! Climb aboard the Tall Ship Enterprize and step back in history to the early 1800's, a time of daring voyages and discovery. Feel the wind in your hair and smell the salt of the sea as we cruise the bay. For a real taste of a sailors life, climb the rigging help the crew hoist the sails and steer the ship or just relax and watch the coastline pass by. Sit and relax as our captain's commentary will gives you an insight into the history of Melbourne and the role of the Enterprize in its founding. You can also learn about traditional shipbuilding methods used aboard. Enterprize is a not-for-profit trust operated by volunteers, providing an 1830s sailing experience. 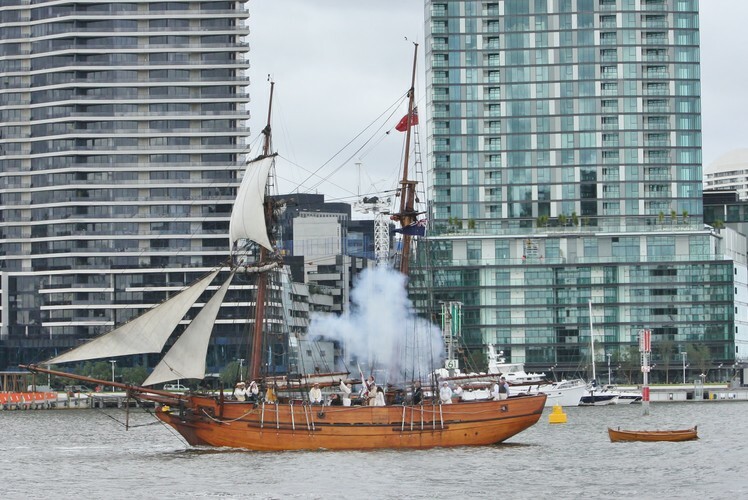 We sail a replica of the tall ship that in 1835 brought the first settlers from Launceston Tasmania to begin what is now Melbourne. The 27-metre topsail schooner is one of only two traditionally-rigged ships in Australian and New Zealand waters and is open to the public for a variety of sails along the coast of Victoria. Enterprize operates for most of the year, setting sail from ports in Docklands, Williamstown, Geelong, and other towns around the Bay and beyond. See our website for sailind times and locations. 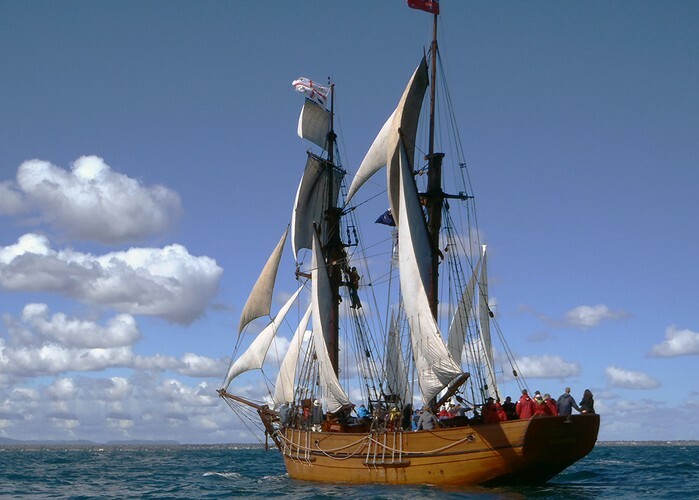 Shorter sails are open to the general public wherever the ship is docked, or the more adventurous can book in for multi-day voyages around Port Phillip or along the coast of Victoria. One Hour Sails are a great opportunity to jump on board and give the crew a hand in sailing the ship around the bay, and passengers over 16 are welcome to climb the rigging as well! Evening Sails are a leisurely 1.5 hour journey, where passengers can lend a hand setting sail while enjoying the beautiful sunset views over the bay.evening sails are a unique vantage point to view Melbourne in the evening. Why not bring a picnic to enjoy on deck as the setting sun paints the coastline in vibrant colours? Day on the Bay trips are a longer voyage around Port Phillip Bay, commencing at 10am and returning to port at 2pm. Help the crew and sail with the wind. Bookings are essential for these voyages. For the more bold traveller, Overnight Adventures are a chance to experience life on a ship as it was in the 1800s. Lend a hand on deck and see where the ship ends up overnight, as well as eating dinner on board and sleeping in bunks in the ship's saloon! Bookings are essential for these voyages. Port Transits are a fun way to see the sights of Port Phillip or Victoria from the water. Jump on board the ship as the crew takes her from one berth to another and help out with the sailing. Eat meals with the crew and sleep on our ships bunks. Enterprize is also available for private charters, team building and school history and sail training sails.